Q: Are any of the TeenFlight Puyallup staff compensated for their time? A: No. All organization staff, mentors and instructors volunteer their time with zero compensation. In fact, many of those involved donate money and/or materials to the organization to show their commitment to the program. Q: Does TeenFlight Puyallup receive any tax-payer funds either from federal, state or local governments? A: No. All funds received by TeenFlight Puyallup are from individuals or businesses. Q: Is TeenFlight Puyallup affiliated or governed by a school district? A: No. TeenFlight Puyallup is not affiliated or governed by any school district. We do, however, try to partner with school district that would like to direct interested students to our program and to assist in establishing ways for their student to earn high school credits for participating in our program. TeenFlight Puyallup can be seen as a “value-add” to any school district with no cost to the district or their tax payers. Q: What happens to the airplanes once they are built? A: TeenFlight Puyallup will keep one to two aircraft to be used for flight training, introductory flights and for display at schools and events. Any excess aircraft will be sold or auctioned for which proceeds will be used for the next year’s build program. All aircraft are owned and registered by TeenFlight Puyallup until sold. Q: What is the cost to students for the program? A: There is NO cost to the students to participate in our build program. If the student has participated in the build program and is eligible to participate in our flight training program, the student will be responsible for the cost of a Third Class Medical Exam, Sport Pilot written exam fee and flight exam fees. Q: What are the eligibility requirements to join? A: Yes. TeenFlight Puyallup is 501(c)(3) approved organization per IRS code 432.56.215.B. All contributions are tax deductible. We can provide a copy of our IRS affirmation letter if requested. Q: Do the kids get to learn to fly? A: Yes, funds and eligibility permitting. 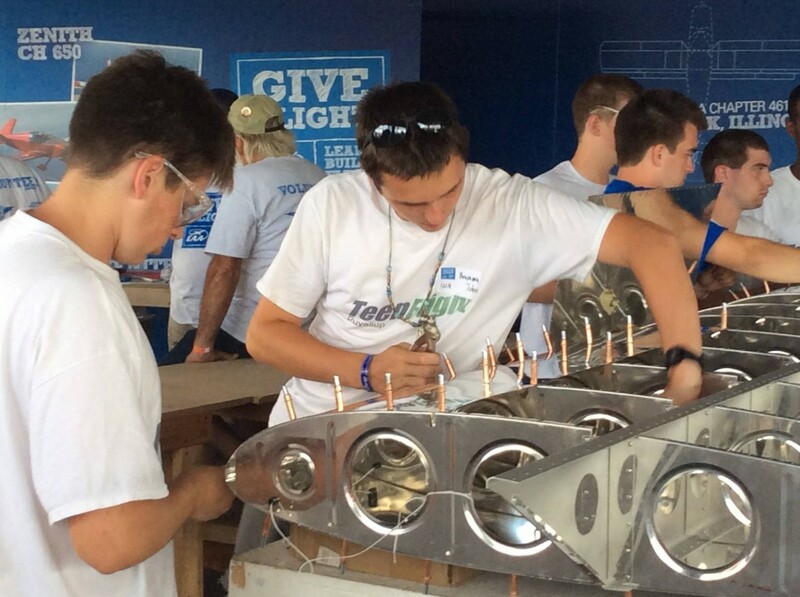 Once the students complete the build of their aircraft, they may be eligible to participate in the flight training program. Students must have actively participated during the entire build period with excellent attendance and have participated in scheduled shows and events. Q: Are the students required to participate in flight training? A: No. It is an option for those students eligible to participate. Q: What is the cost for flight training? A: Funds permitting, there is no cost for training other than the cost of a Third Class Medical Exam, written and flight exam fees. Flight Instructors volunteer their time and TeenFlight Puyallup pays for the insurance, fuel and maintenance costs. Our hope is to continue this as long as funds are available to do so. Q: What ratings can a student achieve and can they continue to fly once they get a rating? A: Currently, we are only offering the ability to earn a Sport Pilot certificate. At this time, the students are only able to utilize the aircraft for their Sport Pilot training. In the future, it may be possible to extend flight training to include the Private Pilot certificate.